Jim Miller is another of the numerous graduates of McGill who went on to play in the CFL. Miller was an All-Star with McGill in 1952 and also a three time college boxing champioin. Miller played six seasons, mainly as a defensive end with the Montreal Alouettes from 1953 to 1958. 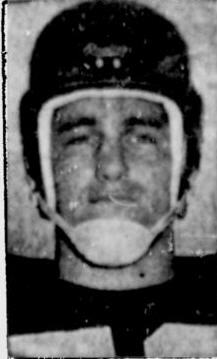 Miller earned an East All-Star at defensive end in 1956 (there were no cFL All-Stars until 1962), and played on the three Montreal teams that went to the Grey Cup in 1954 through 1956. Unfortunately for Miller and the Als, they lost all three contests. 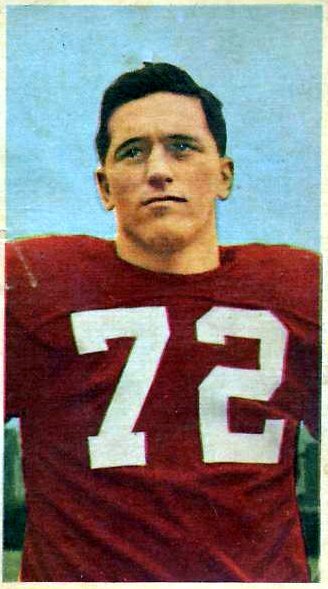 While he played mainly on the defensive side of hte ball, Miller also backed up the great offensive ends of the Als, Hal Patterson and Red O'Qunn as attested to by his half dozen career receptions. Jim Miller passed away on November 1, 2006. The games played stats are unofficial and taken from the 2005 Montreal Media Guide. Individual stats were not kept in the East until 1954.